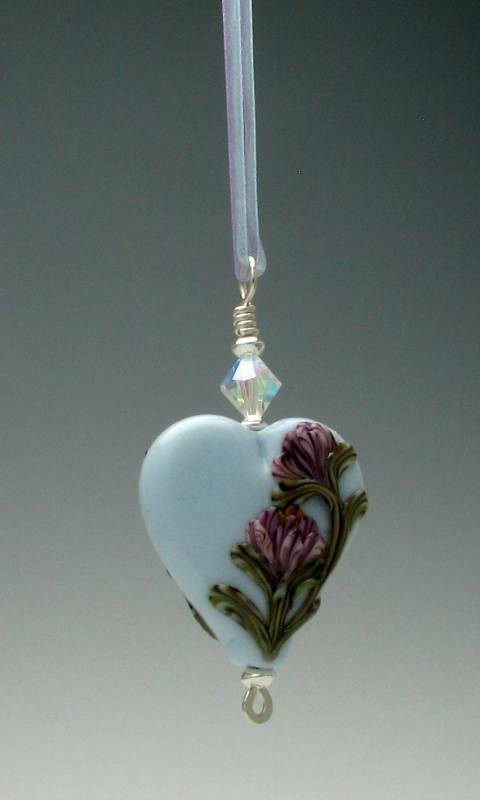 Lovely, large (30 x 28 mm) lavender decorated lampwork tab bead pendant. The pendant is decorated on both sides. The heart is hand-formed by the artist. The pendant is created with 18 gauge sterling silver wire, sterling saucer beads, and a Swarovski, aurora borealis crystal. It is suspended from a variegated organza ribbon. Lavender glass changes color with the light. 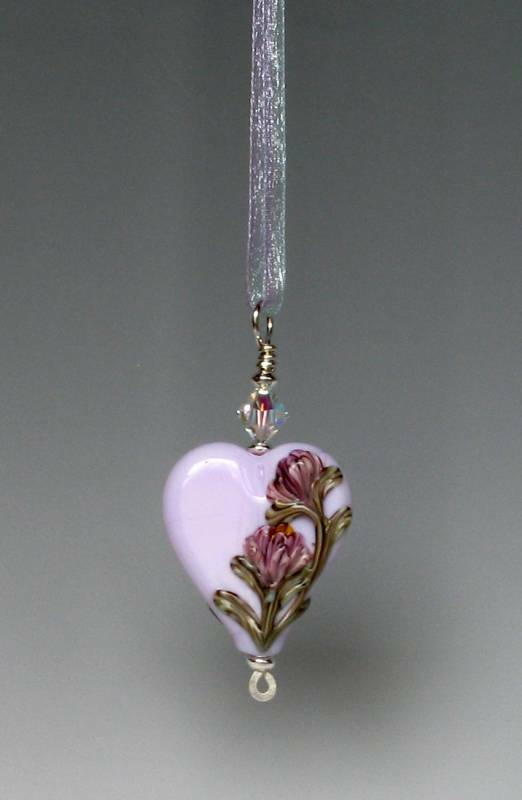 In natural and incandescent light, the bead appears as light lavender in color. In florescent light, the bead cools to a light blue color.